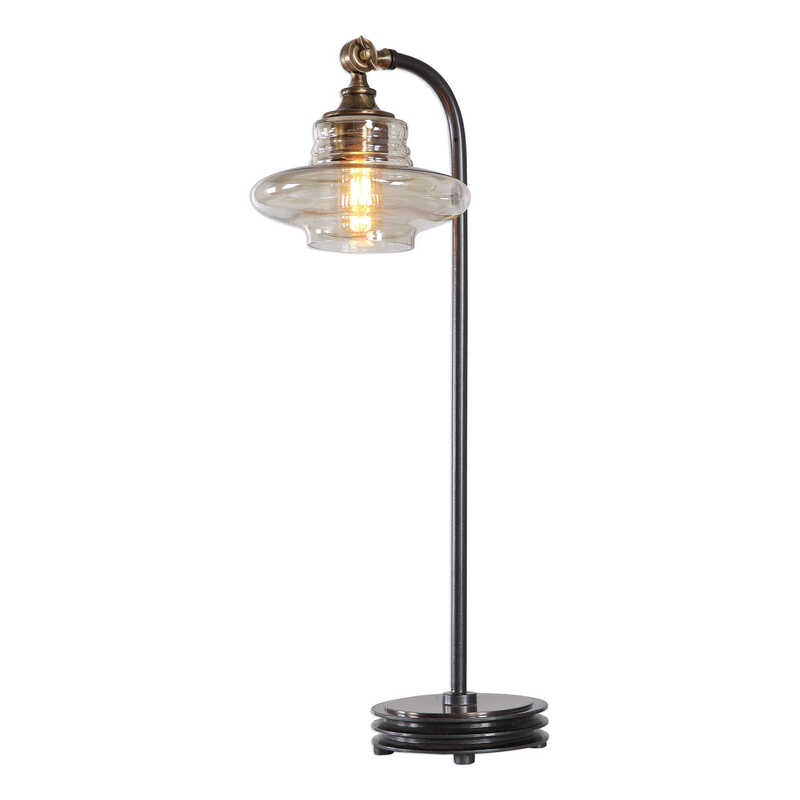 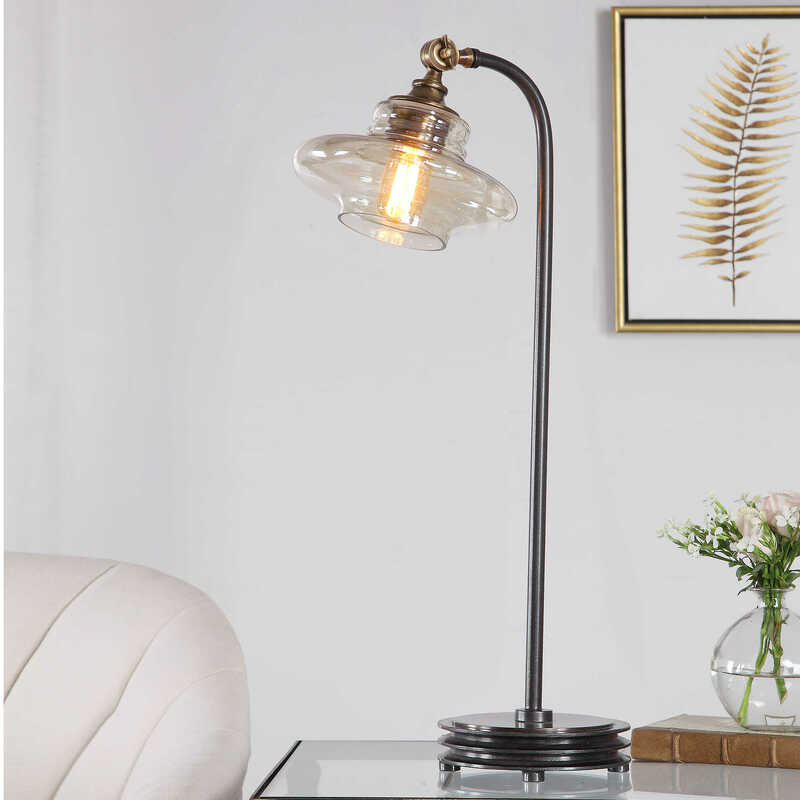 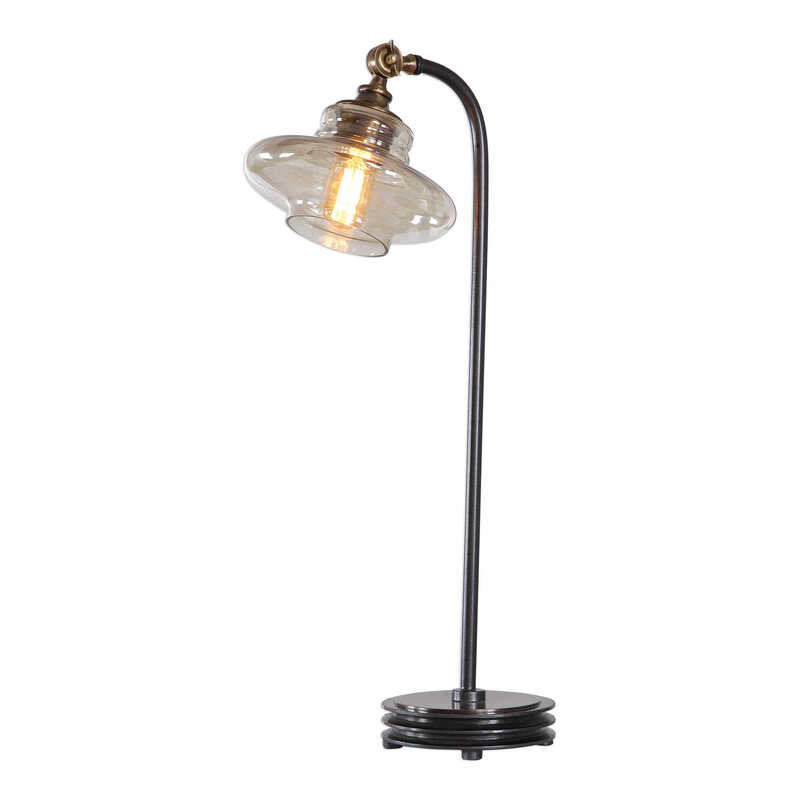 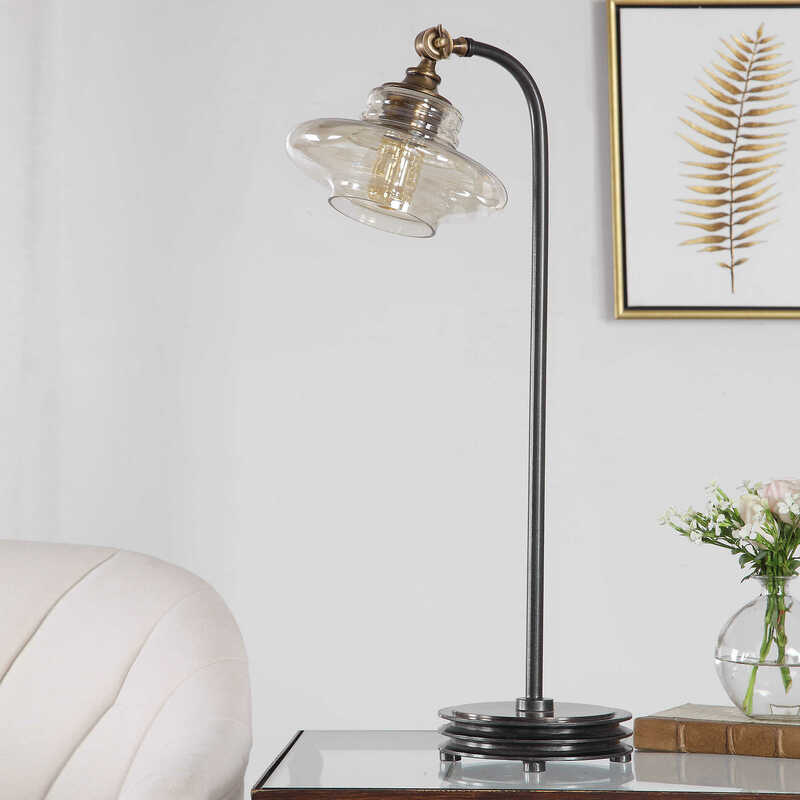 A sleek silhouette is featured in this industrial table lamp design. 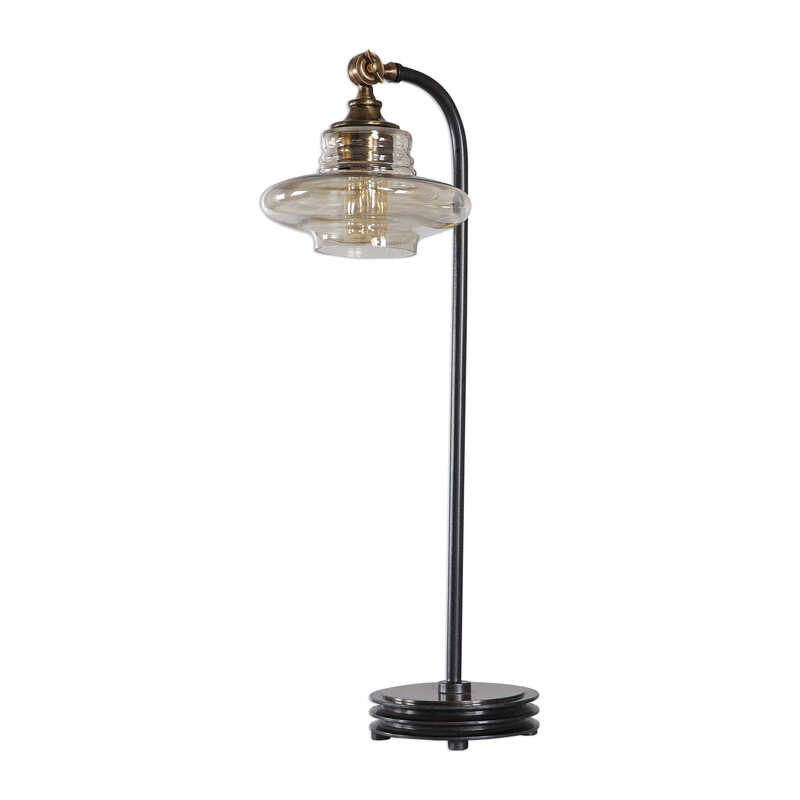 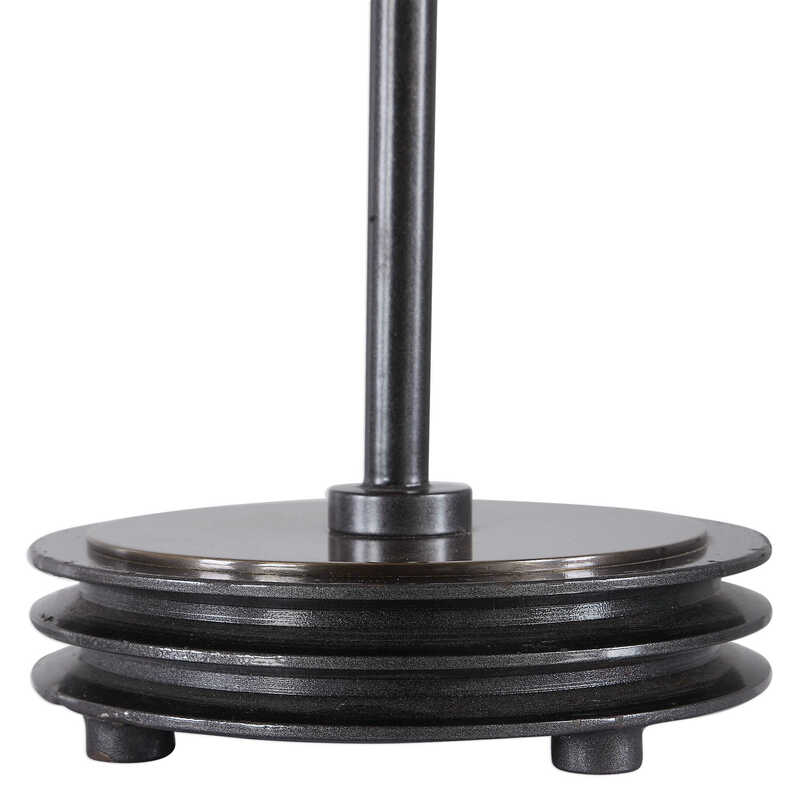 A shapely, amber colored glass globe is supported by a curved, black metal base, displayed on a unique cast iron foot with plated antique brass accents. 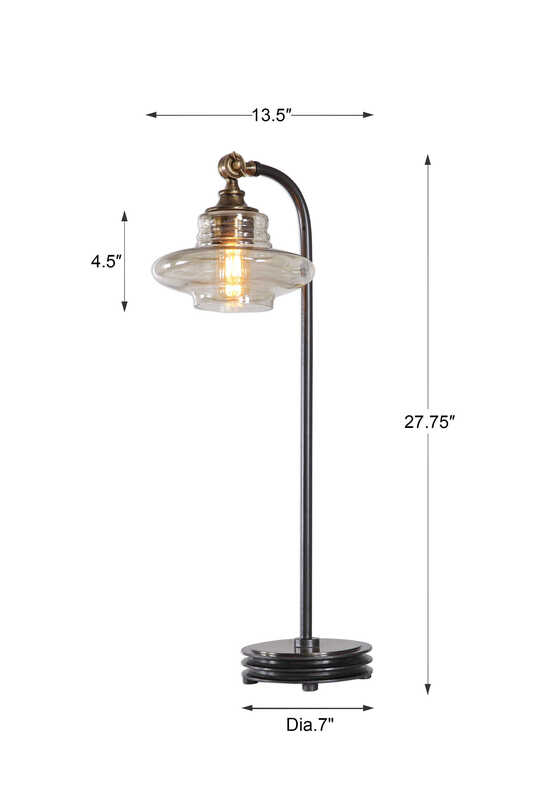 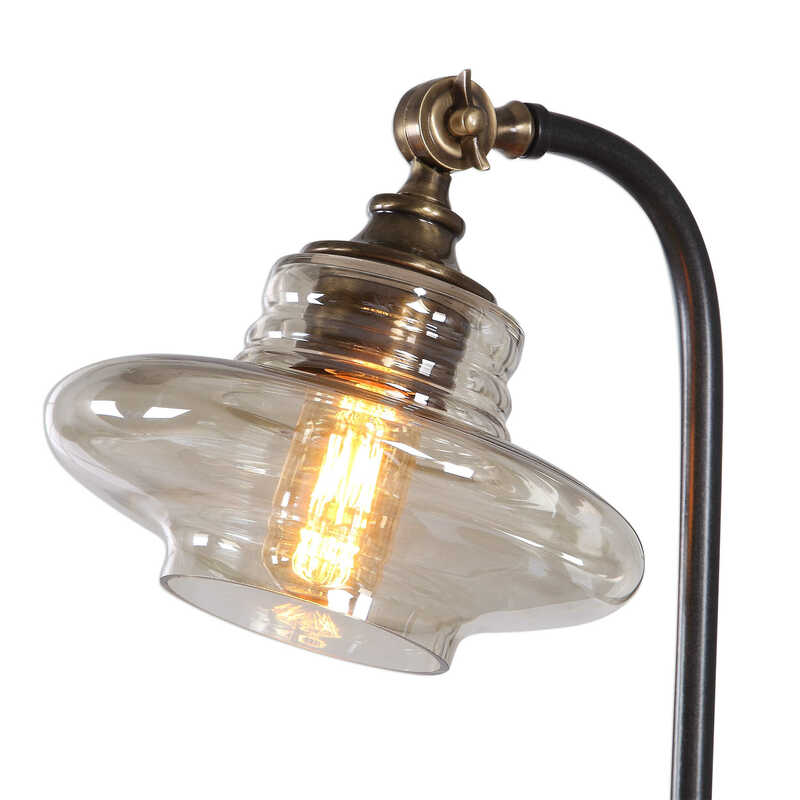 One 60 watt T-45 vintage style bulb included.